Andrew Chignell joined the faculty in 2018 as Laurance S. Rockefeller Professor, teaching in Religion and Philosophy and directing a new Project in Philosophy and Religion at the University Center for Human Values. 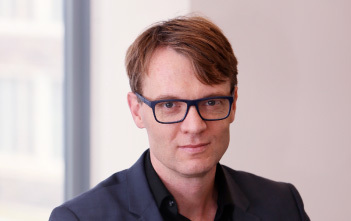 Chignell will spend 2018 on a Humboldt Fellowship for Experienced Researchers in Frankfurt and Berlin, and begin teaching at Princeton in February 2019. His work to date focuses on Immanuel Kant and other modern European philosophers, philosophy of religion, the moral psychology of hope and despair, aesthetics, and the ethics of belief. He also has a developing interest in food ethics, and recently co-produced (with Will Starr at Cornell) a Massive Open Online Course on “The Ethics of Eating” for EdX.org.